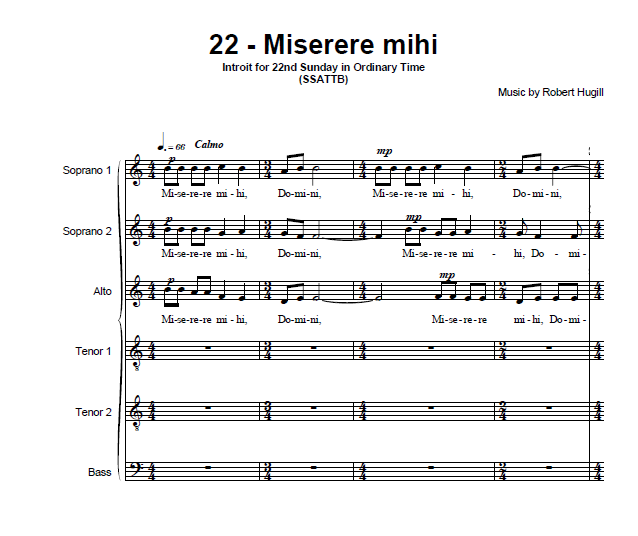 My recently completed motet, Miserere mihi, sets text from Psalm 85 (Have mercy on me, O Lord) which is the Introit for the 22nd Sunday in Ordinary Time which occurs between 28 August - 3 September. 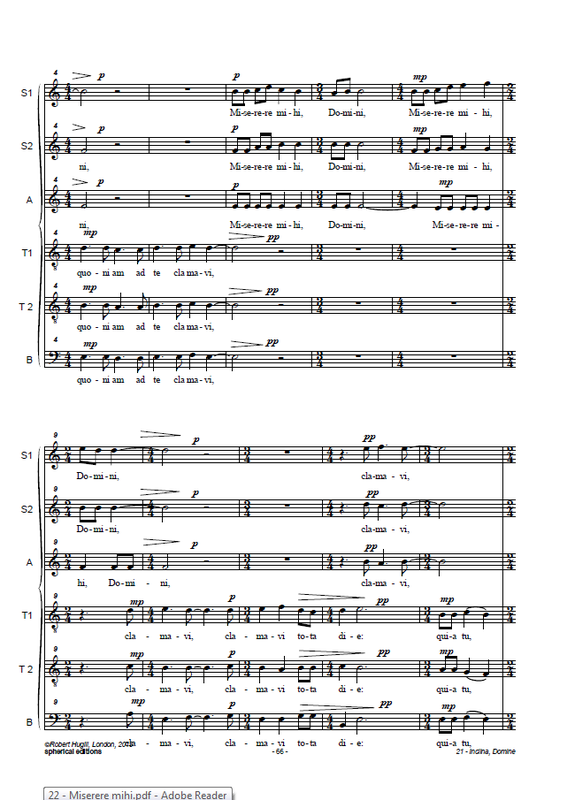 The motet is set for six part unaccompanied choir (SSATTB) and is part of my sequence Tempus per Annum setting the Latin introits for Sundays and major feasts. Inclina Domine, aurem tuam mihi, et exaudi me: quoniam inops., et pauper sum ego. Have mercy on me, O Lord, for I have cried to Thee all the day; for Thou, O Lord, art sweet and mild, and plenteous in mercy to all that call upon Thee. Bow down Thin ear to me, O Lord, and hear me: for I am needy and poor.